As I was so very enchanted by G.O’s performance in Seopyeonje while in Seoul back in April 2014, I almost missed the announcement of him being single-cast in the role of Prince Hodong in 바람의나라 [The Kingdom of the Winds]. Admittedly, I was so focused on G.O’s musical of the moment and it wasn’t until I returned home that it hit me how hard he was working as rehearsals for Kingdom began while Seopyeonje was still running and, even more important, while he still had a number of remaining performances. Still, the buzz of G.O being the first artist from Korean popular music to be cast in the demanding role of Prince Hodong, and the first to perform with the prestigious Seoul Arts Group, was electric. 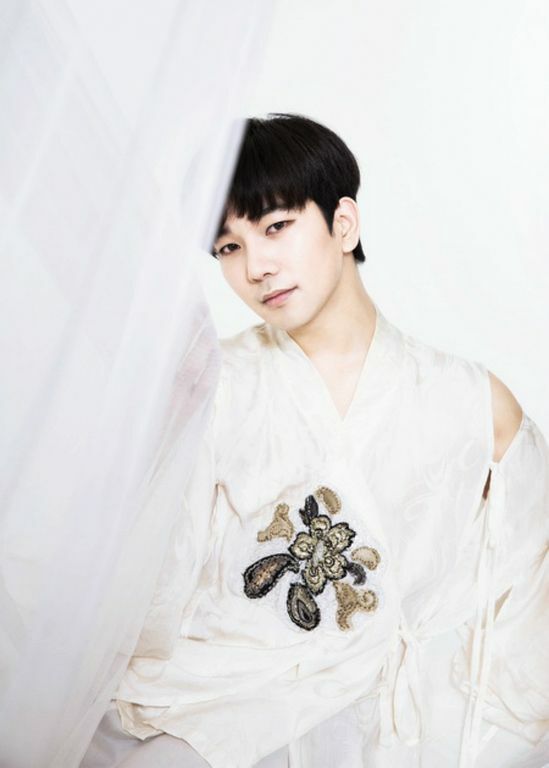 On 24 April 2014, the Seoul Arts Center introduced us to the cast of Kingdom, and seeing G.O in the flowing white robe of his costume was ethereal and breathtaking. The memories of this introduction and his amazing performance are still so fresh in my heart’s memory. I suspect they always will remain. Categories: From The Korean Musical Stage, G.O Military Discharge, MBLAQ Musings, The G.O Files | Tags: 바람의 나라, G.O, G.O images, 정병희, 지오, Jung Byung Hee, Jung Byung Hee images, Korean entertainment, Korean Musical Theater, MBLAQ G.O, MBLAQ G.O as Prince Ho Dong, MBLAQ G.O images, MBLAQ G.O on the Musical Stage, Musical Actor G.O, Prince Ho Dong, Seoul Arts Center, Seoul Arts Group, The Kingdom of the Winds, The Kingdom of the Winds Musical | Permalink.